This is the website of the solar radio observatory in Humain. Follow the links to the right for the very latest observations. Past observations can be accessed following the Instruments link to the left. 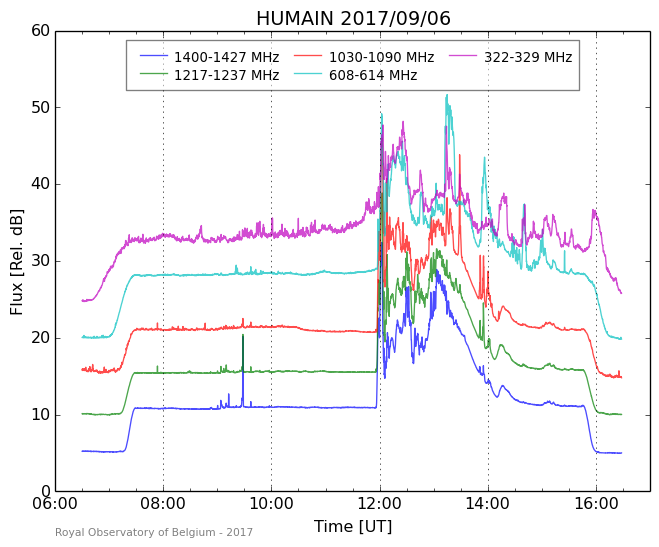 A remarkable radio event associated with a X class flare.